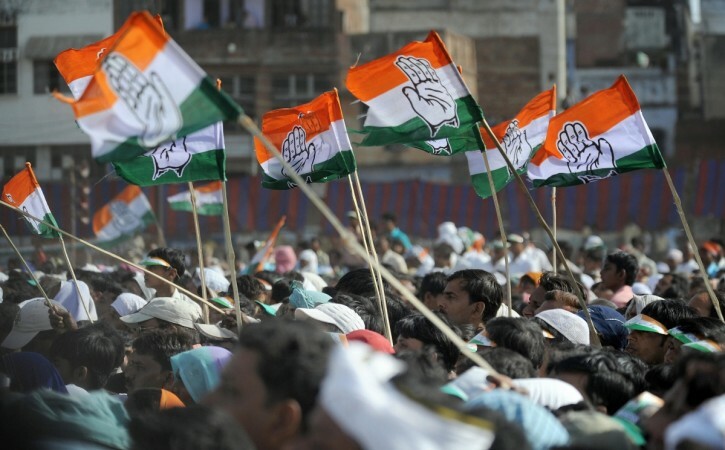 Opposition Congress on Wednesday staged a dharna outside the gate of Uttarakhand Vidhan Sabha Bhawan after a party legislator was not permitted to enter its precincts in an official vehicle. As Congress MLA Karan Mahra arrived at the Vidhan Bhawan to attend the second day's proceedings of the Uttarakhand Assembly's ongoing winter session he was intercepted by a police officialwho asked him to produce a vehicle pass. Mahra said the vehicle belonged to the assurance committee of the assembly and a pass was not required. The police official, however, insisted on a pass and asked the MLA to get down and walk into the House. This enraged the MLA who sat on a dharna outside the gate of the building in protest demanding the suspension of the official in question. With the entire Opposition staging a dharna, Parliamentary Affairs Minister Prakash Pant came out to persuade the Congress MLAs to call off the protest and attend the proceedings of the state assembly in public interest. He assured them that the incident will be probed and the guilty will be punished. However, the Opposition MLAs refused to budge demanding immediate action against the official. Mahra alleged that the tiff at the gate was stage-managed as he was going to question the state government's failure to appoint a Lokayukta despite its much publicised zero tolerance to corruption on the floor of the House and the state government did not have the guts to face the difficult question. The leader of Opposition Hridayesh, who is the senior most member of the assembly, said she had never seen something like this being done to a legislator in her long legislative career.